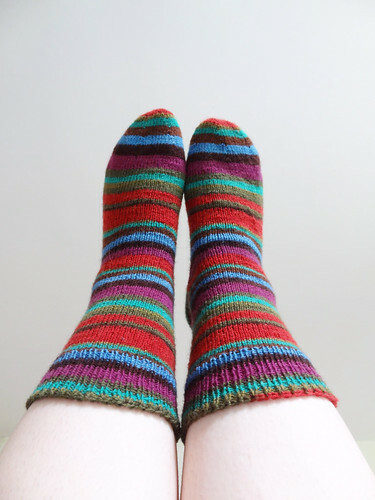 As you might have gathered from my WIP post on Wednesday, where I showed you newly cast on socks, I have finished my Kaffe Fassett Socks. I have mixed feelings about these socks. In this picture they look great. 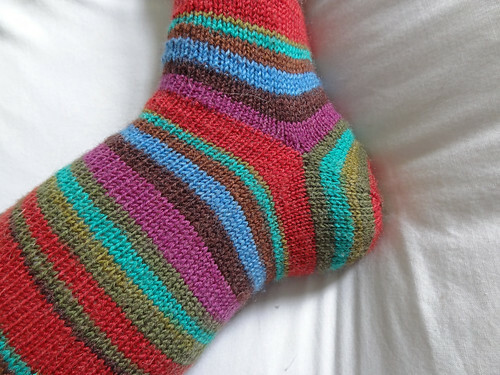 The striping matches, the ribbing is neat and they have a good length with a nice stretchy cast off. I should love them, but when I put them on, they have a problem. They have a baggy heel. I think I need to shorten the heel by a few rows. I'm hoping that when they have been washed and worn a few times the problem will be resolved by softening the seam which pulls the heel a bit wonky. When the sock is pulled tight, it looks so different. I do hope it works when it's been washed because I love these socks. 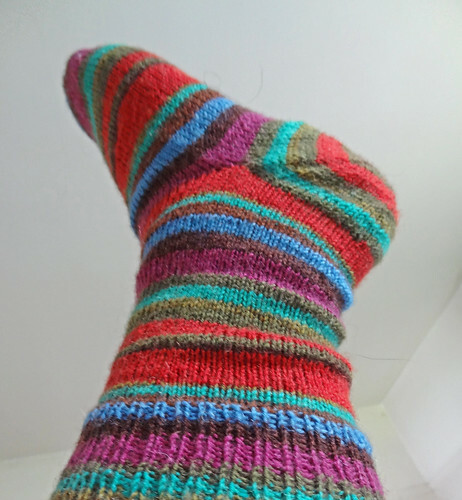 By the way, the nice neat ribbing is created by changing to combination knitting. I love how tidy it looks. 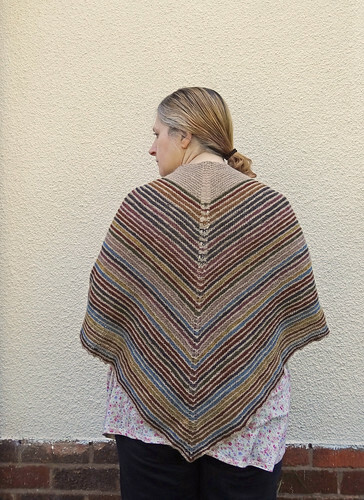 I highly recommend giving it a go, as it is also really improving the way my Maplewing Shawl looks. 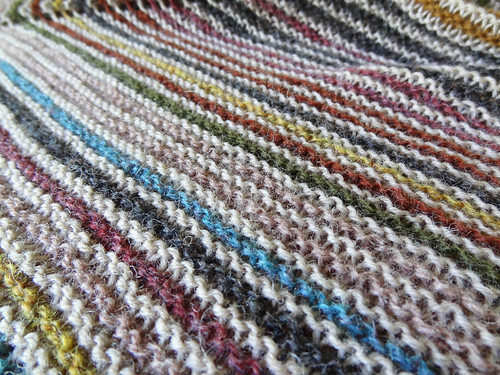 There is such even tension between the knit and the purl rows, I can't quite believe it. 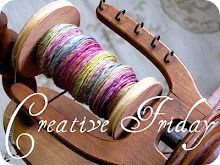 So now the socks are dealt with, I can share the pretty shawl photos I took of my Blog Week Shawl before I posted it off. Look at all the pretty stripes you all helped make! After blocking, the shawl has really lovely drape. 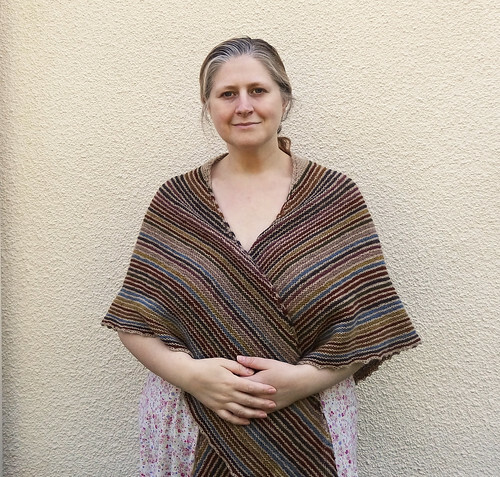 Knitting 4 ply yarn, on larger needles, in garter stitch, creates a lovely loose yet bouncy fabric. I'm really pleased with the finished size, after blocking. I think the length is right for most women of average height. I am ashamed to say that I didn't take finished measurements after blocking, because I am an idiot. 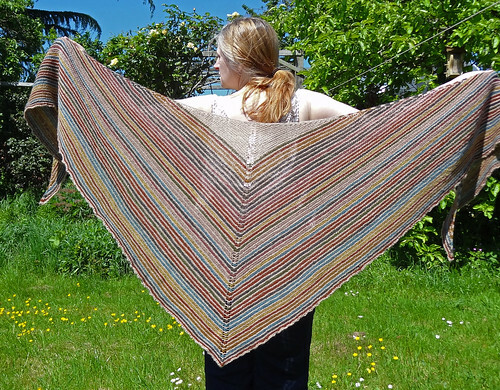 However, estimating by looking at this photo, the height of the shawl is about 26"-27". I haven't a clue about the width, but it wraps round me nicely, and I am quite an ample lady. 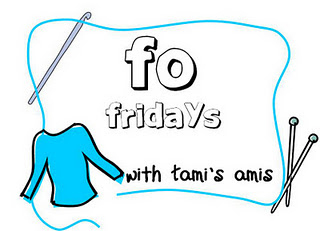 To look at other finished objects, click on a button!